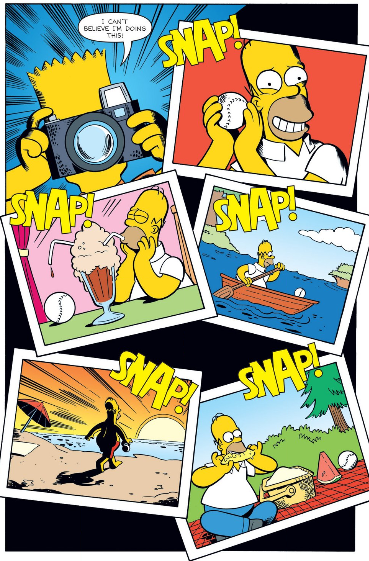 Simpsons Comics #120 came out in July 2006, script by James Bates and art by John Delaney. 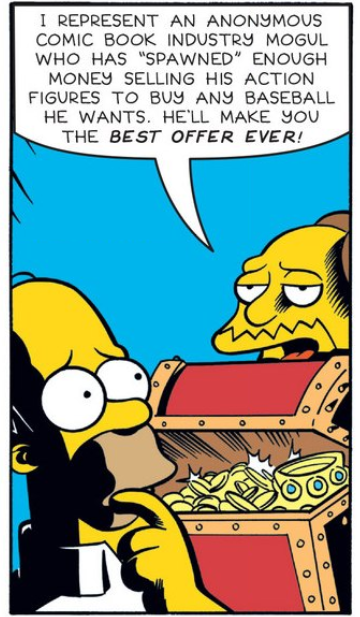 I’m working from a digital copy from Comixology (only 1.99!). 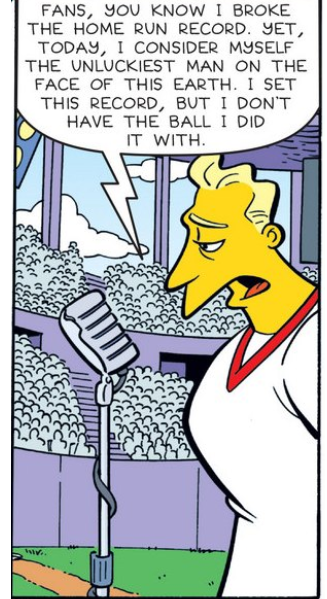 Our tale begins with Homer being forced by Marge to spend some time with Bart, so off to the Springfield Isotopes game they go, where star player Danny Dings is going for a home run record. 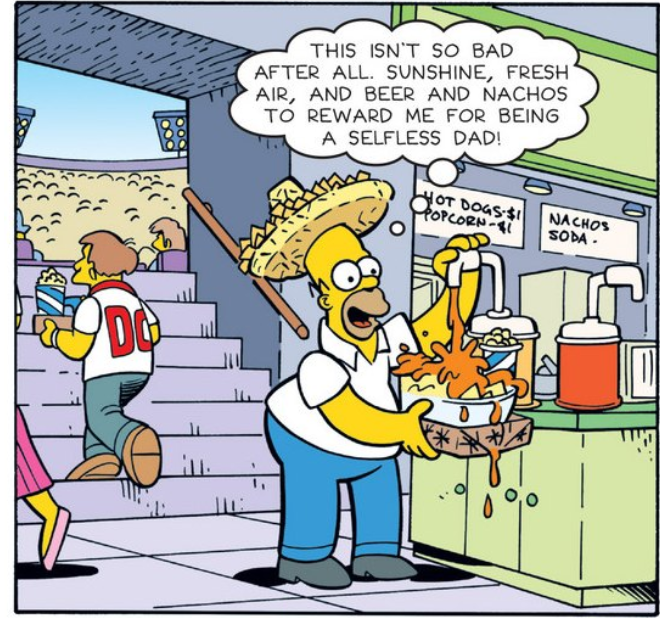 And, of course, it lands in Homer’s nachos, a tragedy that causes the Kwyjibo to weep. 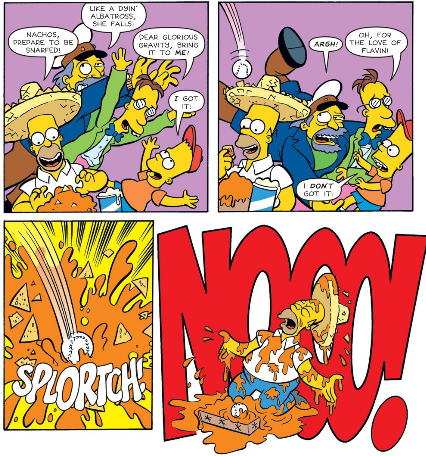 When Marge finds out about this, she intervenes, yells at Homer that this is the worst thing he’s ever done (and considering Homer has beaten up a former president, routinely has strangled Bart, once used a gun to open a can of beer and has nearly destroyed all of Springfield on several occasions, that’s saying something), and then gives Bart the ball…. And, much like his father, he abuses his power, using it to get better grades, get out of detention, get a ride alone on the bus back home and generally lord over the school. 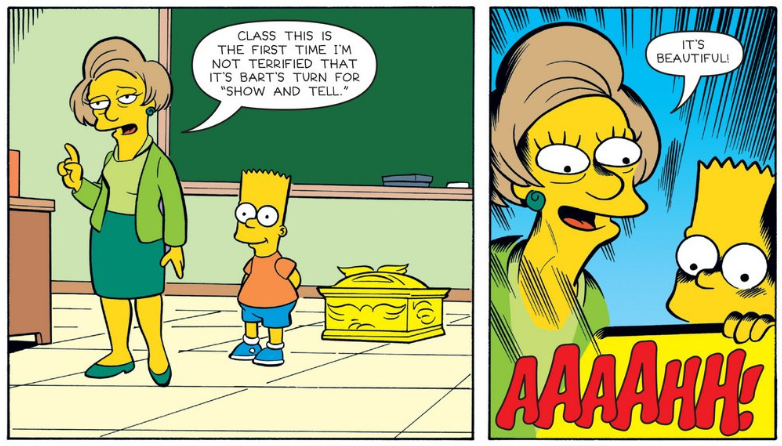 Also, there’s a Richie Rich cameo. Marge then realizes they shouldn’t sell it or keep it, they need to give it back to Danny Dings! 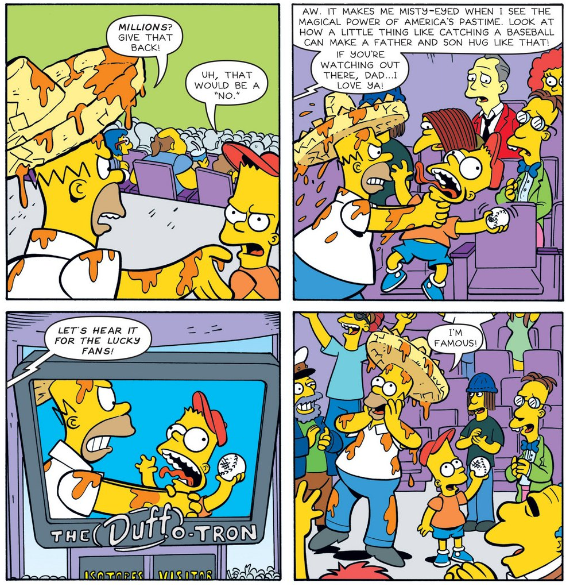 What do Homer and Bart think of the idea? In some ways, I’m sort of surprised we have yet to see a situation where a player asked for the ball back and they didn’t give it to him. I’m sure it must have happened, but I can’t remember one off the top of my head. 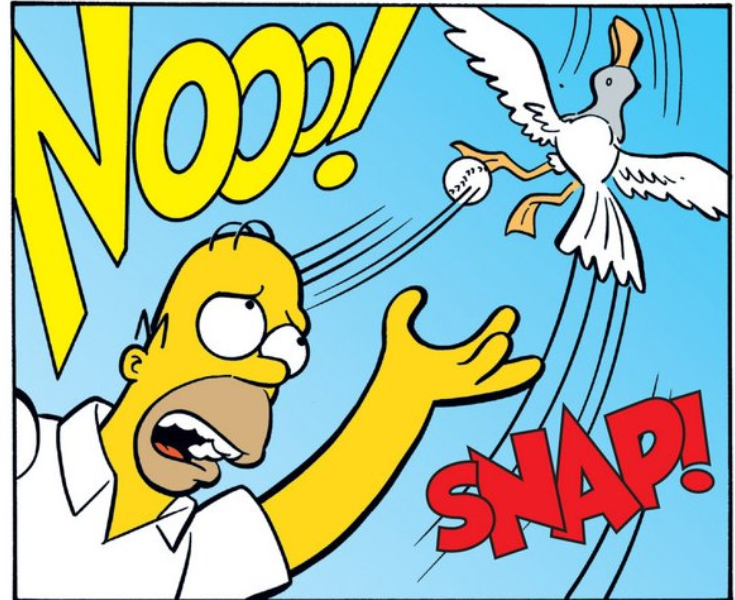 And so, like the final scene in Indiana Jones and the Last Crusade, Homer has a choice: he can keep the ball and die, or lose it only to live. 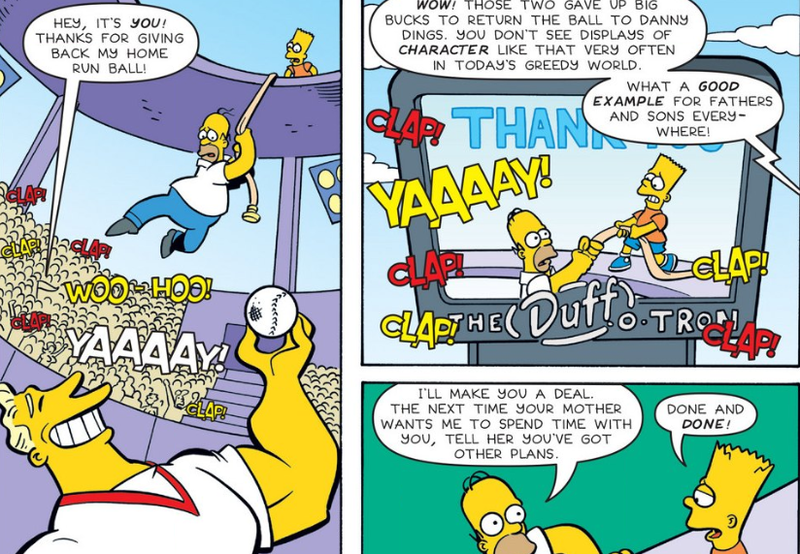 You can probably guess what happens next: Homer drops the ball, Danny Dings thanks him for giving him his ball back… and the two Simpsons agree to never spend time together again. 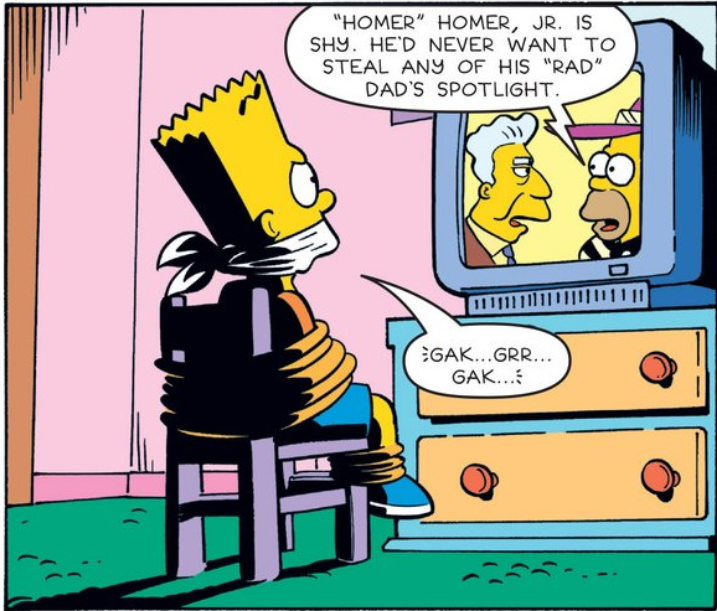 It should be noted here that in some ways this comic owes something to the actual situation that inspired the documentary Up for Grabs. If you haven’t seen that documentary (and you should), it’s about the tale of what happened to Barry Bonds’ 73rd home run. 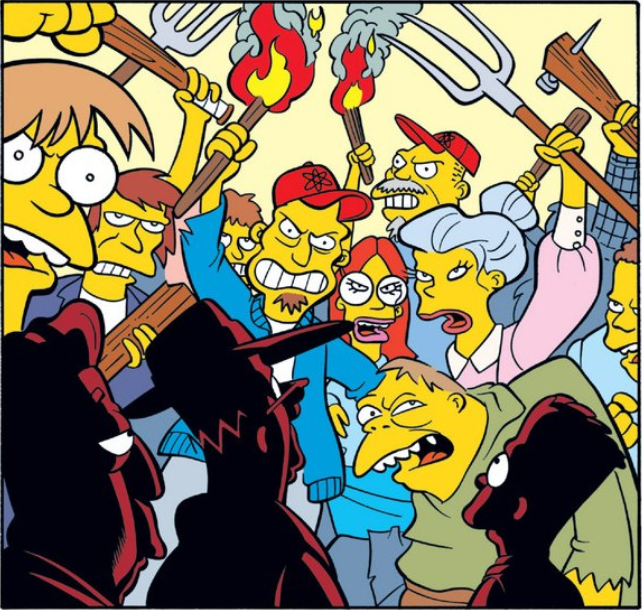 One guy caught it, only to be tackled to the ground by a mob of people trying to catch it. Another guy picked it up and was the first one the stadium security saw with it, and so they named him the person who caught the ball. Needless to say, the original fan who caught the ball sued. 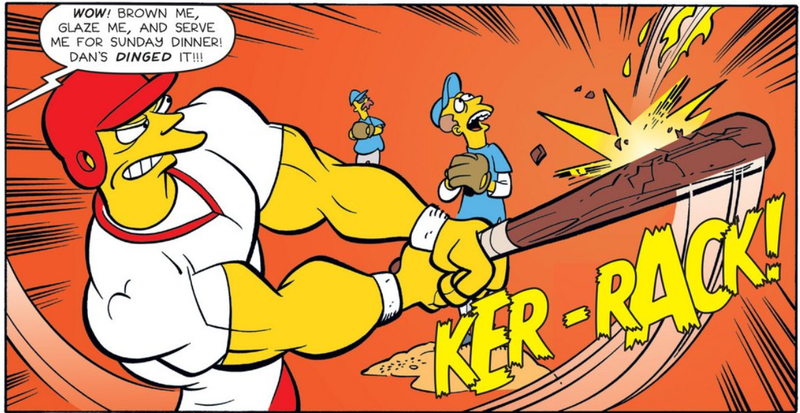 Eventually, the two sold the ball and divided the proceeds… except it had taken so long (and the steroid scandals had erupted) that neither of them got as much money as they could have, and in fact at least one of them actually lost money due to court costs. 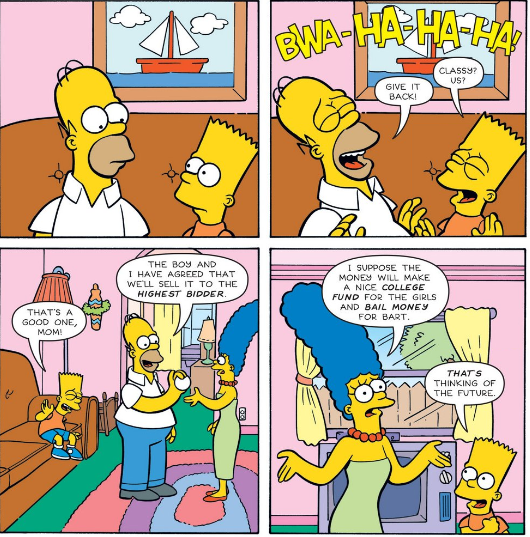 Anyway, there you go… Simpsons Comics #120. 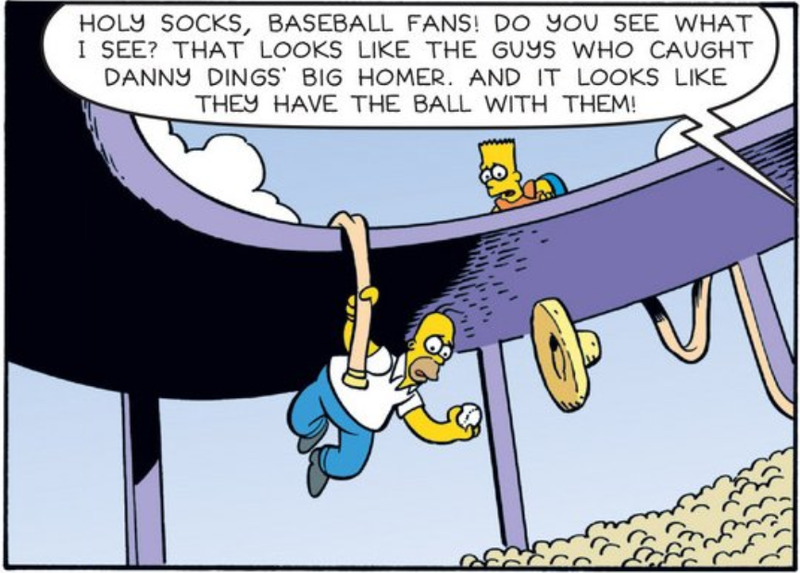 Just another instance of Bizarre Baseball Culture! Next Time: I’m…. not entirely sure yet. 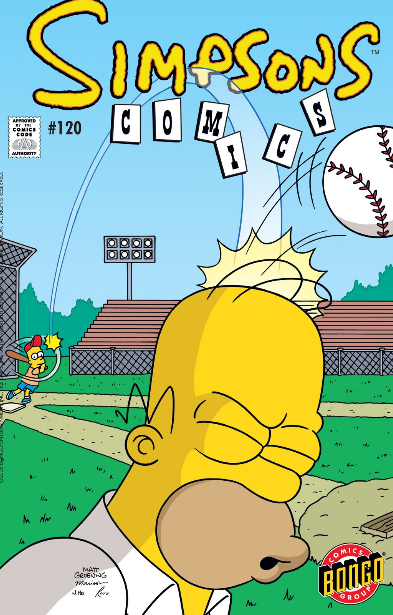 This entry was posted in Baseball, Books and all their spinoffs, Movies, TV and such, Non-Baseball, Uncategorized and tagged baseball comic, Bizarre Baseball Culture, comic book, Danny Dings, homer simpson, simpsons, Simpsons Comics, Springfield Isotopes, The Simpsons by danglickman. Bookmark the permalink.